The release of the 2016 B.C. provincial budget on Tuesday (February 16) included one crucial provision that might prove to be a major factor in the region’s housing market’s this year: substantial tax exemptions for buyers of new homes. Any home worth up to $750,000 would be subject to property transfer tax exemption that would allow the buyer to save up to $13,000. The offer is valid for any newly constructed residence—including townhomes, condo units, and detached homes—as well as for newly-subdivided existing homes. 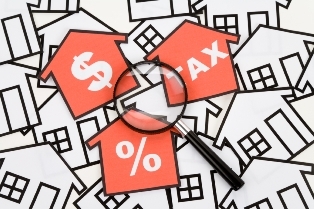 For the tax breaks to take effect, the buyer should be a Canadian citizen or a permanent resident who would live in the property for at least one year after the purchase. Previously, the perk only applied to residential properties priced up to $475,000. A positive side effect that government officials are looking forward to is the easing of price and demand pressures in the market. “In Metro Vancouver you'll see fully 50-70% of the market fall into that less than $750,000 range,” Finance Minister Mike de Jong told Business in Vancouver. “We should be capturing the bulk of the market and creating some incentive for more homes to be built. We'll be working with municipalities to facilitate that and we'll be tracking closely the impact they have on market behaviour,” de Jong said. To cover the costs entailed by the expanded exemption, the B.C. government raised the property transfer tax on homes priced above $2 million, from 2 per cent to 3 per cent. This is estimated to yield an additional $75 million in revenue. Typical politicians. Complain that house prices are out of control and something needs to be done. What do they do? Raise the home price for giving a tax break ensuring that any remaining 'low' priced housing will be forced up on price.